Kolida Babo is the collaboration between two woodwind musicians from separate regions of Greece - Socratis Votskos is from Pella and Harris P is from Athens. This, their debut album, was recorded in improvised, live-take sessions beginning on the night of the “Kolida Babo” folk rituals of music and dance in northern Greece. The sessions proceeding over three years, explore the ancient music of Armenia and the folk traditions of Greece’s Epirus and Thrace regions, alongside abstract electronics and free jazz. As musicians of modern Greece, the sonic palette is developed in part as a means of processing the country’s immediate actualities: its relation to its regional traditions, its urban centres and its humanitarian and economic crises. In this, the music is at once clearly located in traditional sounds and disjointed from them, at times contrasting or harmonious, both conceptually and sonically. The Armenian Duduk that anchors the project is a double-reeded woodwind instrument made of apricot wood with thousands of years of history and generations of venerable masters - the duo cites Djivan Gasparyan as a main influence, and Harris studied with Vahan Galstyan. Traditionally its music is played in duet: a melody on one duduk, a low drone accompaniment, the dum, on another. 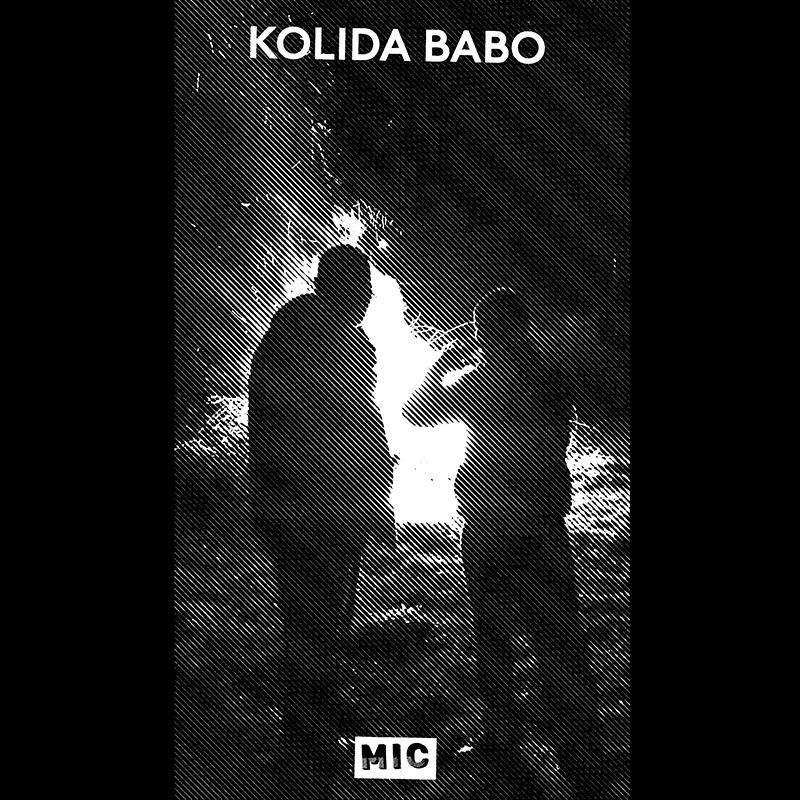 Kolida Babo preserves and extends the dual nature of duduk music in many ways, replacing the dum at times with the tones of a Moog synthesizer to allow the two players to weave harmonies together in duet. And there is a persistent duality in the braid of Kolida Babo’s sonic associations - modern and ancient, local and global – in moments underpinning one another, in others undermining. “Sometimes we mock modern times and sometimes the other way around”, they say - it’s a collision, or an engagement, romantic or pugilistic, and the sense is of an experiment without expectation, without preciousness or exoticism of folk culture. The elements challenge each other and the listener - while the music is very much about texture and tone, the sounds aren’t clearly modern or ancient: it’s futile to identify, we’re reminded, and instead we experience the immediate presence and power of the combination. Influences include Armenian Folk music, Greek Rebetiko, German Kosmische, Spiritual Jazz, the Fourth World music of Brian Eno and John Hassell, British Trip Hop and Electrified West African Funk. But where these can be identified they are as sidelong journey makers through the borderless idiolect belonging to the dialogue between the two players and enabling its free and full execution, subtle markers used to coordinate the collaboration. 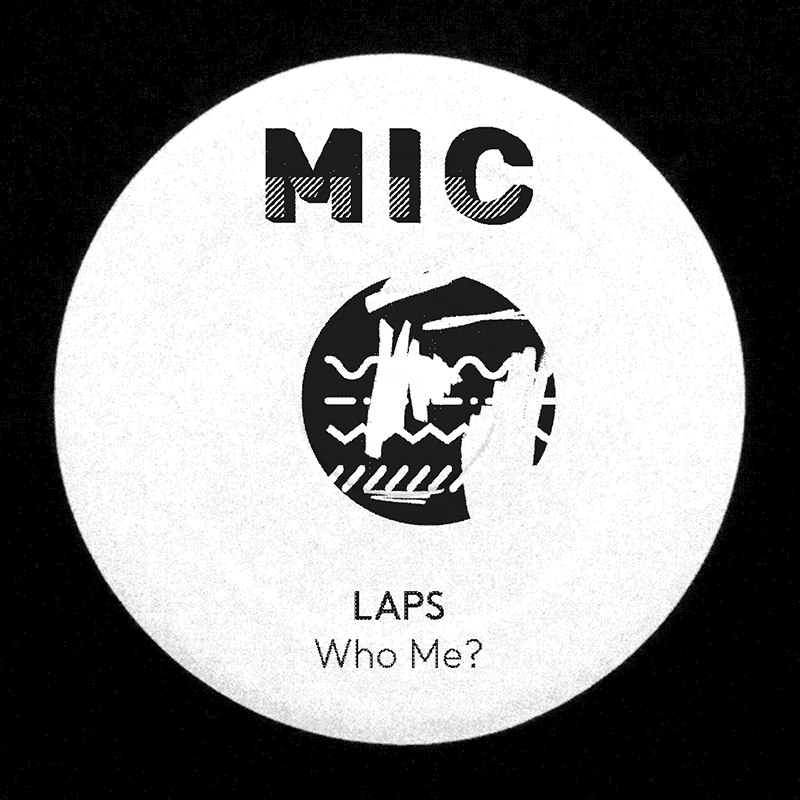 LAPS’ Who Me? already sounded like a dub mix when it came out on MIC last summer so it’s pretty interesting to see where it goes with these remixers - on one side M. Geddes Gengras, the modular synthesist behind dancehall label Duppy Gun, and on the other Vancouver’s D.Tiffany and Melbourne’s Roza Terenzi, updaters of breaks and IDM from the 90s to now. 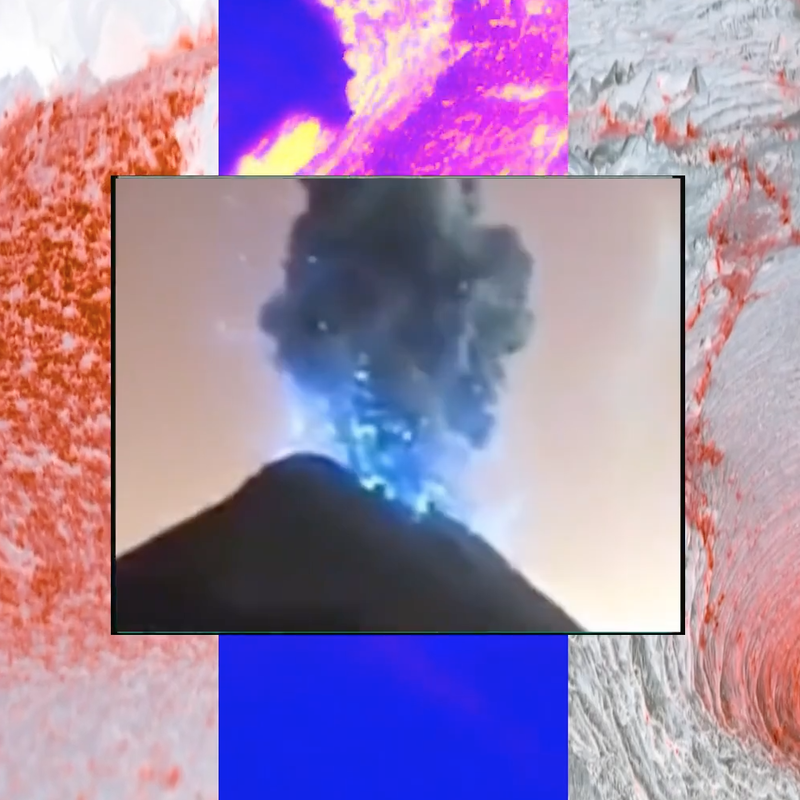 Gengras opens the subject material up into a thick, organic scape of dancehall details embedded in a density of sound design recalling a Model 500 production - psychedelic space, overdrive, curling feedback. Tiffany and Terenzi eschew breaks and pads for a rooted, tracky take, bracing the raucous energy of the original with huge toms and skitting snares, but prising its percussive details into a whirling chrome glitter playing with tropes of UK techno in the 90s, creating something starry-eyed yet sure-footed. These remixes mark a collaboration with NYC’s DFA label, and show LAPS tightening their grip on the world - including featuring in Rihanna’s Savage X Fenty catwalk show. 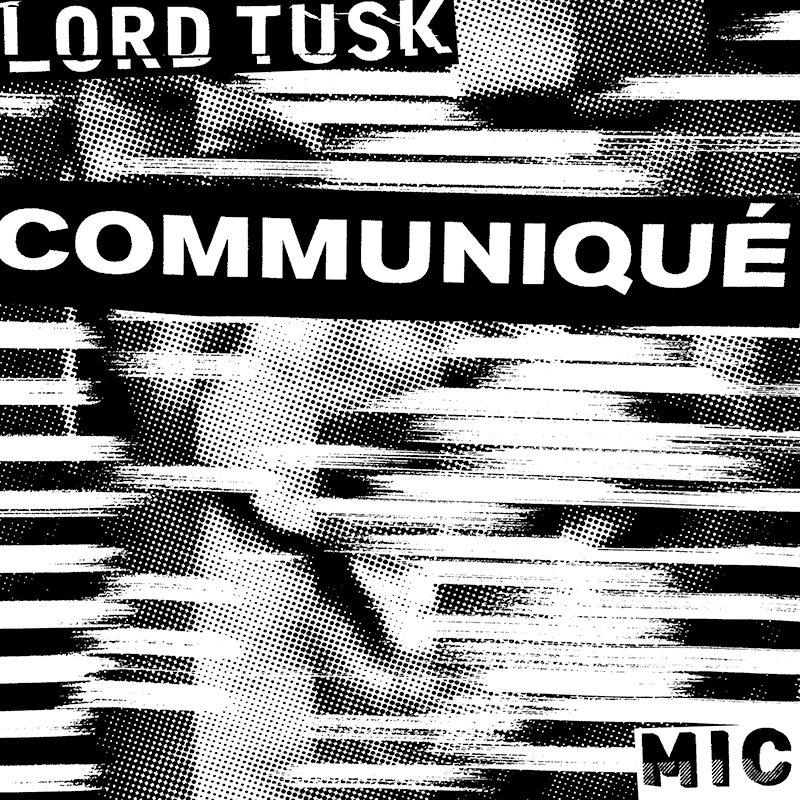 Lord Tusk has associated with acts like Klein, John T. Gast, Dean Blunt, Yasiin Bey AKA Mos Def, and released on Jon Rust’s Levels, Funkineven’s Apron, Soul Jazz Records and Low Income $quad. Communiqué is made of breathy, glossy Sci-Fi electro, bitcrushed drum samples and Minneapolitan funk feng shui, the hits and stabs of new jack swing and FM boogie, all pieced together with a one-take energy but a meticulous attention to detail. It’s songwriting for a miscellaneous kind of soundsystem music, body music, flamboyant across tempo, from the yearning thump of Shyne Eyed Gal to the puffed-up strut of Champion Lovers (sounding like a home-taped Electrifying Mojo opener), the staggered slink of Beyond Limitation’s unfiltered tones to the 4x4 uptempo skid of Don’t Be Shy or the veering slap-bass groove of Elevation. It’s a record that shoots around corners, conjuring lazy romances and smokey vistas, lit by the nocturnal shimmer of an electrified city, streaked with gargantuan, shrill, birdlike call-and-response riffs and visited by the astral bodies of Teddy Riley, Gerald Donald, Prince. 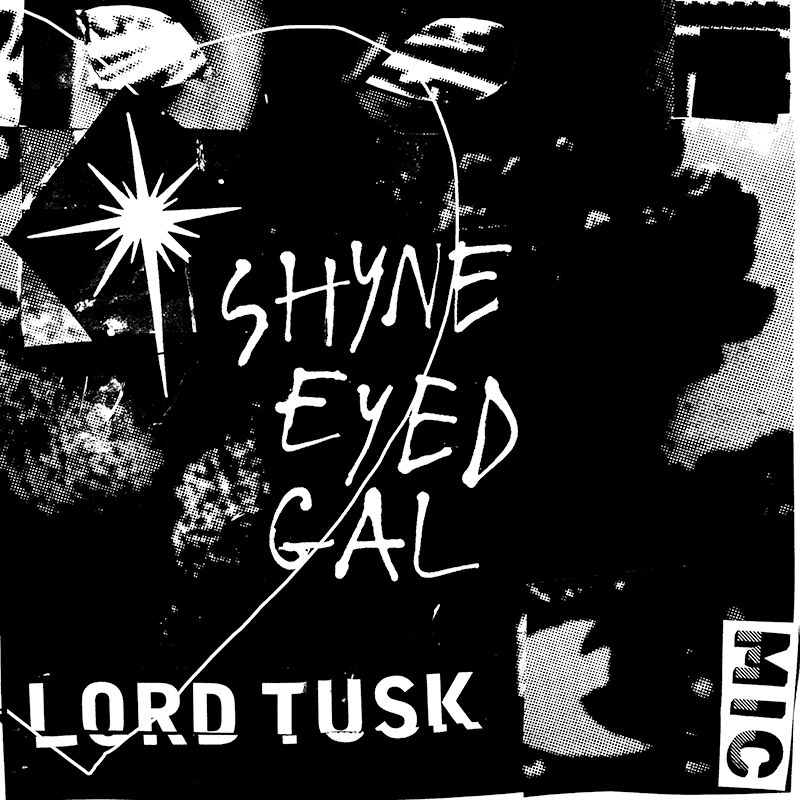 Shyne Eyed Gal is a soundsystem romance: deep, breathy pads and the halftime, earthy-thick thump of bass and bitcrushed drum samples form a foundation for Lord Tusk’s yearning falsetto and synths which puncture the gloss of the track’s surface with shrill, reptilian call-and-response patterns. The LAPS original, taken from the 'Who Me?' EP on MIC, is their fierce homage to Ru Paul, darting between French and English female power chat and crashing, echoing dub. 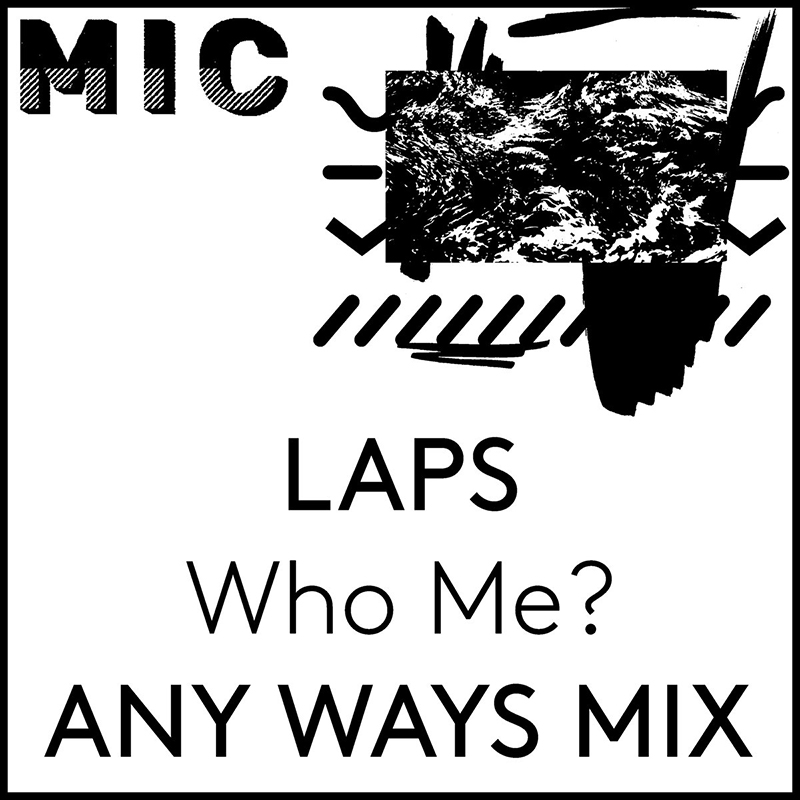 The second release from MIC comes from Ladies As Pimps - LAPS for short - is an anarchic Glasgow duo formed by Lady Two Collars of Golden Teacher and Sue Zuki from Organs Of Love. Their duets take centre stage on Who Me? : the vocal performances range from the stretched, soulful projections of Ode To Daughter to the lawless, clipped, sweet & sour, spat-not-spoken word of Edges. Spirited percussion scatters in all directions and bass is smothered in tape delay, as the four tracks beat through Dub, RnB, House, and way beyond, circling around acts like Madame X, The Bug, Stuart Argabright, Francois K, mashing absurdity with dread. Recorded at Green Door studios in Glasgow (where the two met) and layered with the analogue production techniques learned on the first youth unemployment programme there, the energy and charisma of these recordings promise a pretty unique live show when they support Princess Nokia later this year. Our new MIC label launches with some previously unreleased and unheard material from UK DIY jazz funk maverick, Mike Collins, or more the brains behind that spacey Loft classic, ‘Rude Movements’ as Sun Palace. 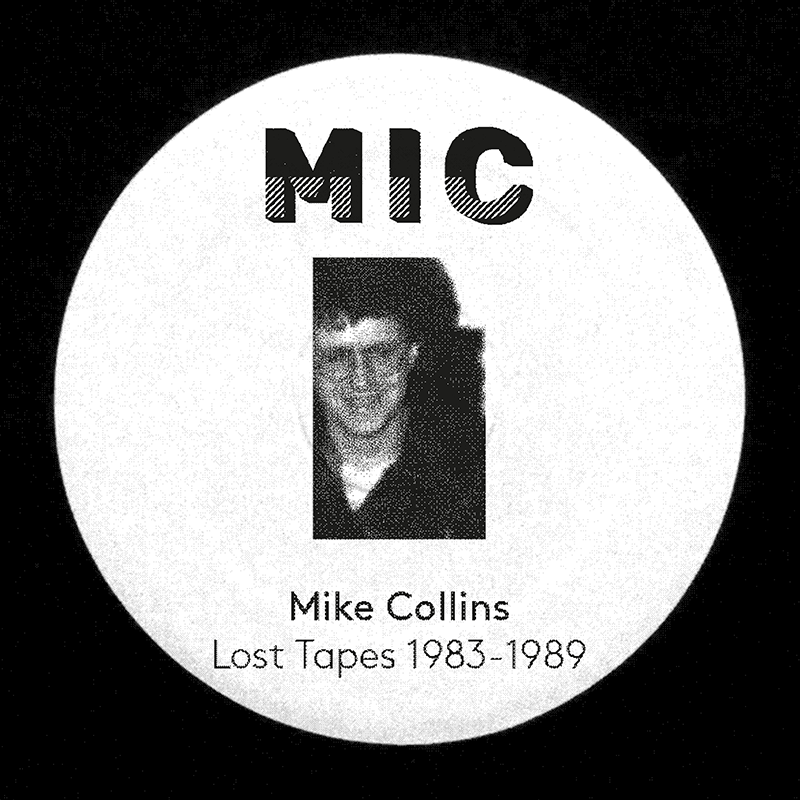 MIC presents a small archive of Collins’ material (recorded around and after the time of ‘Rude Movements’) and reveals the more experimental side of Collins’ production. Five tracks that explore early, proto-house music, electro and fascinating drum machine observation. Essential issue!